Courtesy of Coldwell Banker Morris Real Estate. On a private dead end street your new home awaits, nestled under the canopy of ponderosa pine trees! Situated on an elevated & spacious .24 acre lot enjoy living in the forest while being minutes away from shopping and restaurants. 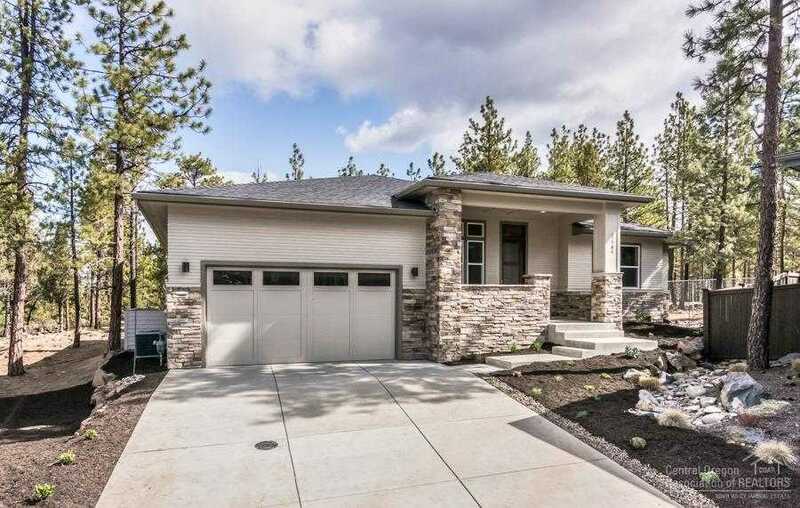 Recently finished new construction features expansive single story floorplan, 2 car garage, and both Cascade mountain and forest views. No detail overlooked, home is perfect for entertaining, showcasing oversized picture windows, great room centered on designer chef’s kitchen with slab counter tops, full height backsplash, and wine fridge and spacious utility room. Other delights include dedicated office, junior master suite and separated master bedroom with expansive walk in closet and soaking tub. With low maintenance landscaping, paver patio, and built in fire pit. Nature’s beauty awaits you on Bend’s Westside, walking distance to Shevlin Park! Cross street: NW Imbler Dr. Please, send me more information on this property: MLS# 201902585 – $869,000 – 62784 Idanha Court, Bend, OR 97703. I would like to schedule a private showing for this property: MLS# 201902585 – $869,000 – 62784 Idanha Court, Bend, OR 97703.